Like most little kids the idea of a remote controlled car is a very exciting one! 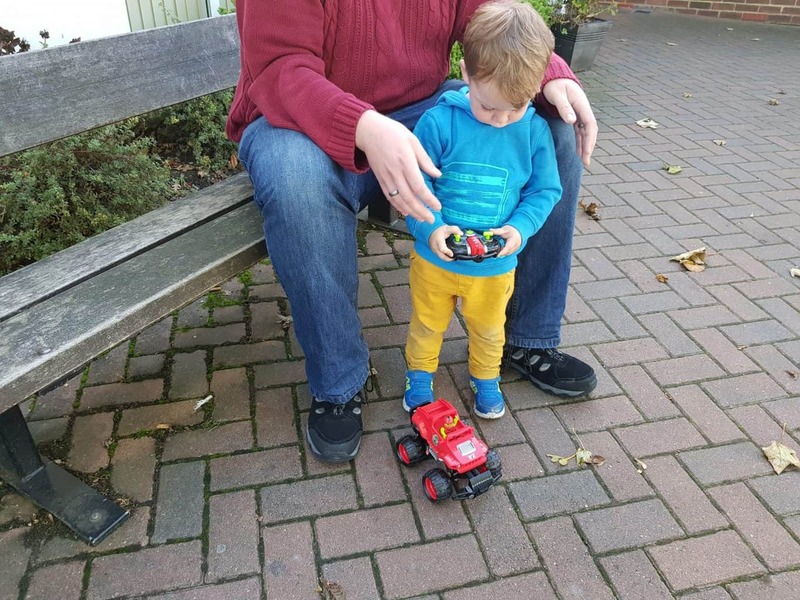 Arlo has never had a remote control car before, but we did recently get a Scalextric race track which introduced him to remote controlling, but with that the cars stay on the track and there is no aspect of steering involved! With the Monster Smash Ups car he has the freedom to drive it wherever he likes, he boy does he like to drive it! It’s fast become the thing he can’t leave the house without – much to my annoyance when we’re only popping out for a little bit or getting straight in the car! Monster Smash Ups are RC cars that are designed to ‘smash up’. The panels and grills all come apart after a crash, which means that you have to rebuild to get going again! I will admit that this can get somewhat infuriating as a parent when you get handed a load of car bits to put together because you can do it quicker than your kid can, but I got him to help me each time and now he can do it himself! You can also eject the poor little plastic guy that sits in the car, I tell you now if he were a real driver he would have serious concussion! Ejecting that poor guy makes Arlo SO happy! It’s done by having a head on collision, so whenever the bumper is crashed it activates the ejector seat! The truck also has great suspension as you can see in the photo below, so that they can race round corners and bends with ease. It took Arlo a little while to learn not to press the off button (the truck says ‘bye bye’ so you’ll know when it happens!) but he really loves the sounds the truck makes as it speeds around! The truck is charged by USB, the cable is included but not a plug, which shouldn’t be a problem for most people as you’ll probably have a few laying about at home, we have USB plug sockets anyway so we charged this with ease. 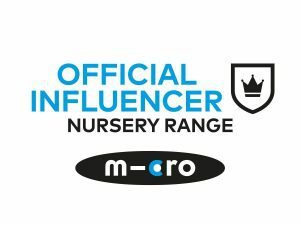 You’ll need two AA batteries for the remote control, and these haven’t needed replacing in almost a month of Arlo playing with it, which is impressive! A charge on the truck itself lasts for about 25 of play in my experience, before you need to recharge. The set came with stickers and some little traffic cones and flags so you can personalise your truck and build a course to further your steering skills! 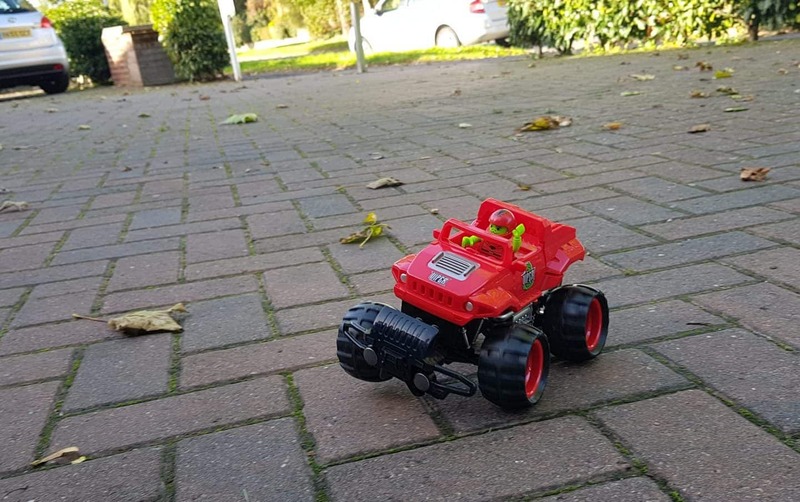 The range of the remote control is about 20m, and you can also have races or crashes with other Monster Smash Ups, the instructions explain how to turn them on so that you each control your own car, otherwise there may well be some confusion! Here’s a little clip of the first time we took it out to play! Currently available in red, yellow and blue on the Monster Smash Up Trucks retail for around £28 at the moment! 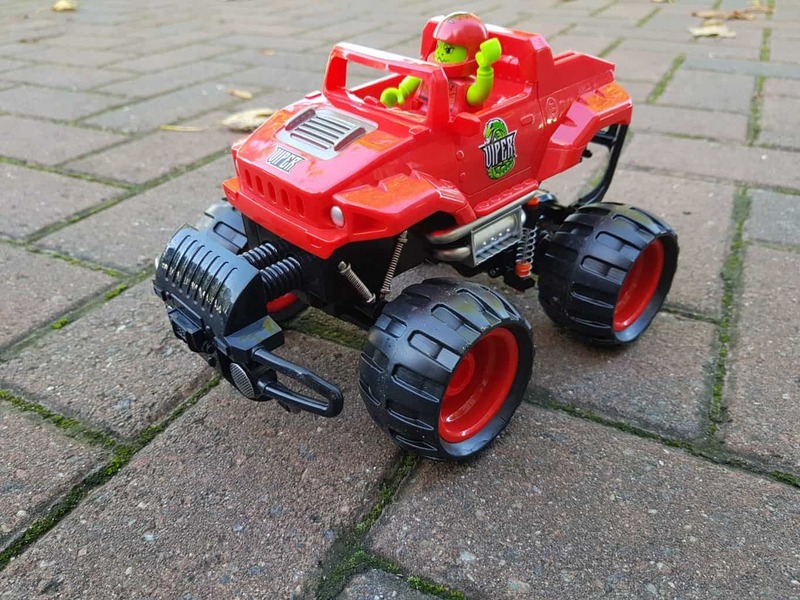 We received this toy in exchange for an honest review, this post contains an affiliate link.